What they don’t tell you about living in New York is that the minute you move here, you begin to carry your life around with you in a variety of different sized bags. Grocery bags, gym bags, purse bags, perhaps the occasional backpack if you are about to really find yourself on a journey – one needs many options for carrying things. One of my biggest summer challenges is making baked goods that will travel well for al fresco parties. A ridiculous statement, I know. Life can be so hard sometimes! But let’s say that I have to go to a summer BBQ in the park and I have to take the train/walk/ride a bike there. What do I bring? Probs not. I just can’t bring myself to buy a cupcake carrier, so those are usually out. I will make them if I’m hosting or have a large shoebox laying around (which, let’s be honest, is usually something that I have to spare). A crisp is definitely one of my summer favorites and comes easy to travel in an 8×8 dish, but how does one eat a crisp at a park without some sort of utensil and plate. Sometimes a simple plate and fork can just be too much, so therefore it is with regret that the crisp is nixed for the summer park BBQ. 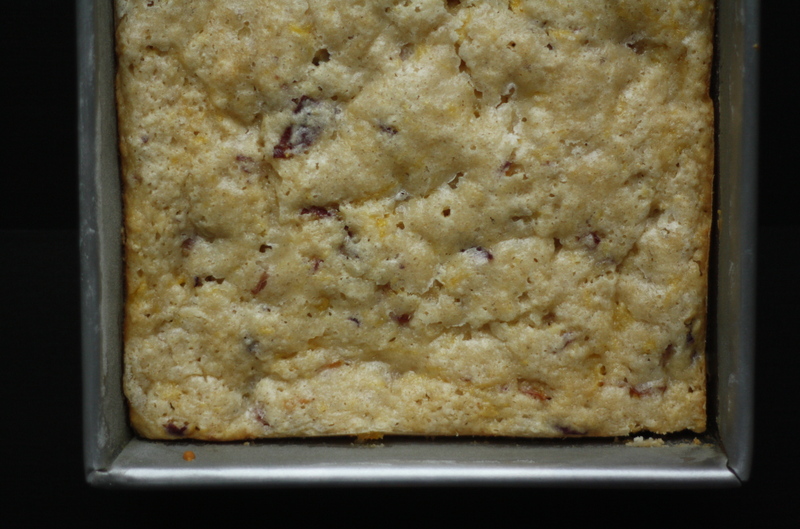 It was a combination of the reasons above that led me to create the cobbler cake. I’m going to sound like an infomercial here but this cake really tastes like a cobbler! But it looks like a cake! I know. It’s a little bonkers. You may ask yourself, is this a cake or a cobbler? Why does it taste like a cobbler but look like a cake? What is happening!? 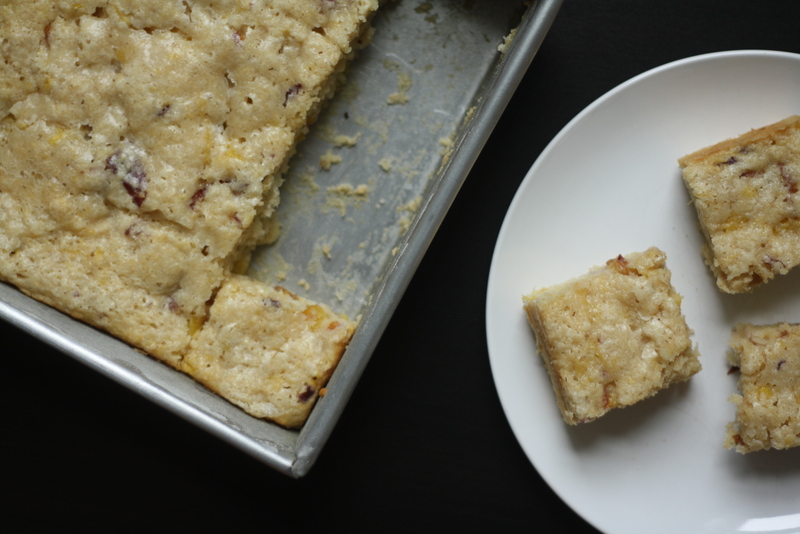 This dessert is most helpful to anyone that has to travel on some sort of public transportation to some sort of BBQ with some sort of dessert in hand. It is also perfectly acceptable if this travel involves going outside to your deck in the backyard. Just know I will be secretly (or not so secretly) jealous of you. My fire escape will just not ever compare to a full-on backyard no matter how many times I call it a deck. This cake is also entitled an “any summer fruit” cake because you can use any summer fruit. Big surprise! With raspberries it was amazeballs and with nectarines (as you see in the photos) it was equally as delicious. Make this cake your own by using any fruit that you would throw into a cobbler but just throw it into this cake! Preheat the oven to 375. 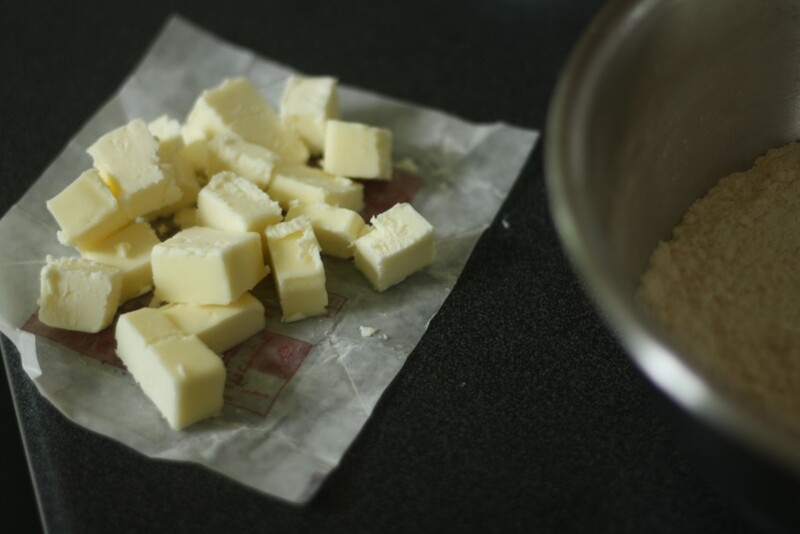 Butter and flour an 8×8 square pan and set aside. Zest the lemon into the bottom of a medium bowl. 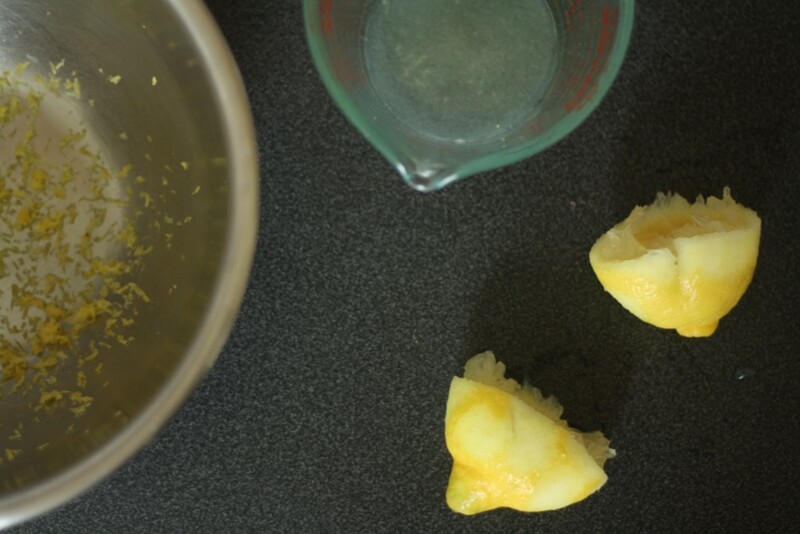 Cut the lemon in half, squeeze the juice into a liquid measuring cup and remove any seeds that may have fallen in. Top the lemon juice with milk so that you have one cup of liquid. Stir briefly and set aside. You know what you just did, you made (I-ran-out-of-buttermilk-so-I-had-to-hack-my-own) buttermilk. Yay! Add flour, sugar, baking powder, salt, cinnamon, baking soda, and a pinch of nutmeg to the lemon zest. Whisk briefly to combine. 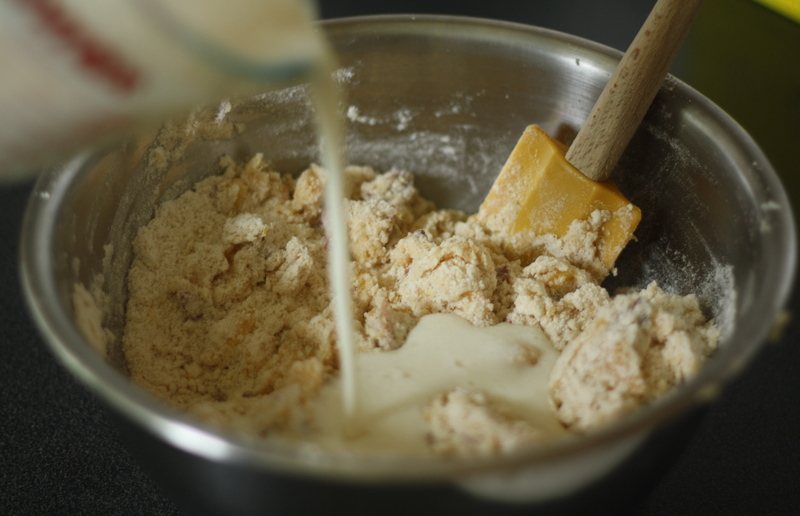 Add the butter to the flour, toss each piece so that it is coated, then working quickly and using your fingers work the butter into the flour mixture. 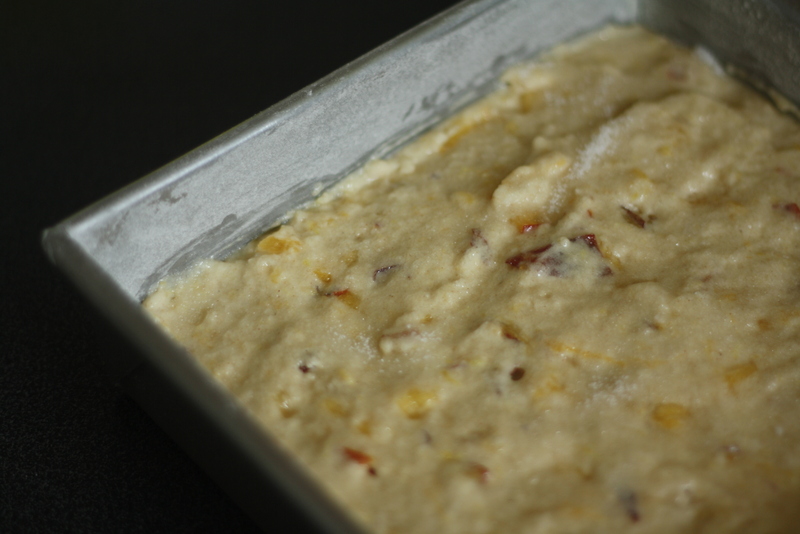 Add the fruit to the flour mixture and toss to combine so each piece is coated. 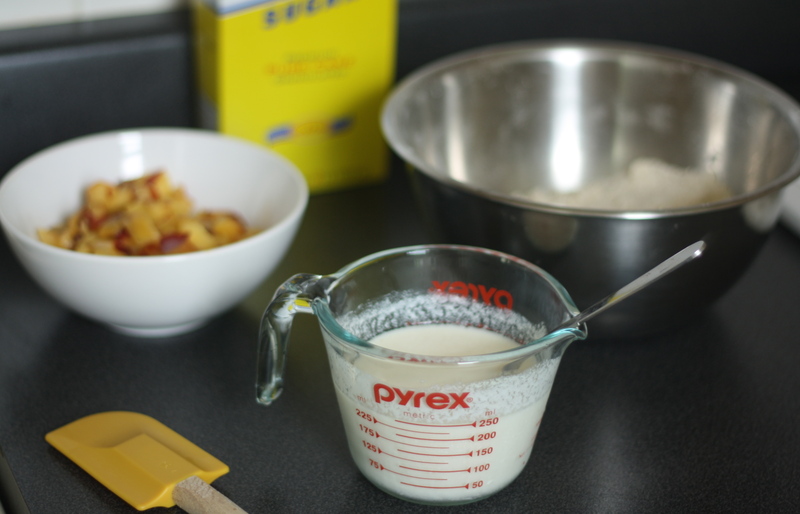 Stir the vanilla into the DIY buttermilk then quickly add the liquid to the flour/fruit mixture. Use a spatula to combine with several quick strokes. Be careful not to overmix. Pour batter into the prepared pan and smooth the top. Sprinkle with about a tablespoon of sugar. Bake for 30 minutes. The cake will remain fairly light in color but it is done when a tester comes out clean. oh i really llike the sound of this cake.. am thinking of giving it a shot with peaches!!! lovely!! this looks wonderful…could I make it the day before to serve the next day? Yes! It should last well-wrapped and at room temperature for several days. Cobbler is my favorite! And I love stone fruit, so this is e perfect recipe for me! This looks amazing. Love the addition of the spices and lemon! I totally get the carrying issue. Once — once! — I carried a juicy oozy crisp to a party; never again. Make a nice square snacking cake like this and, here’s another secret, you can cut it up in advance and layer into a cookie tin or shoebox or a cake box or treat bag you invested in at the Cook’s Companion (with or without sticking each square into its own cupcake paper as my friend Bonnie taught me to do), and no one will know if you have sneaked one of the pieces, just to test and make sure it’s okay. You know. 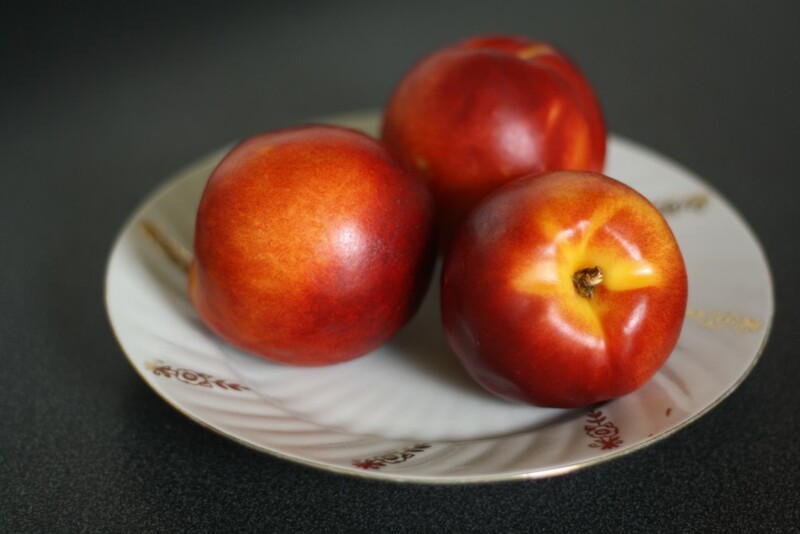 You had me at nectarine….and crisp…. which is my favorite to whip up for a bbq. I am going to knock one of these out this weekend I’m sure, bbq or no bbq. This looks absolutely scrumptious and perfect for this upcoming holiday’s festivities. I was just asked to make a peach cobbler, but I am definitely going to spice up my flava and give them a cobbler cake! I know they will love it at the Pool Party! Thanks!! I just made this today with nectarines and cherries. It was fantastic! I only had a 9×9″ square pan so 25 minutes worked perfectly. Thanks for the recipe! I can’t wait to try it with other fruits. CANNOT WAIT to try this one! Sounds delish!